focuses on the intimate and visceral symphony of domestic activity reverberating throughout a variety of shared courtyard spaces in Paris. The different locations range from classic apartment buildings to modern project-housing estates – with each courtyard possessing a variety of unique architectural qualities that offer clear conditions to experience the delicate sounds of domestic apartment living. These qualities can also be seen to provide each space with a distinct acoustic characteristic that is often not consciously acknowledged, but which helps to form a social dynamic within an apartment complex, and a sense of place, belonging and home amongst its residents. All the way from Melbourne hails Martin Kay, who sometimes worked as Mountain Black (see Vital Weekly 897) and sometimes under his own name (see Vital Weekly 958) but in both instances he works extensively with field recordings with however as Mountain Black with some extra computer processing afterwards. Here however there is no computer processing going on as 'Courtyards' is all about recordings made in shared courtyard spaces in Paris, both the classic spaces but also the modern-housing estates, and each such space is like a sound box in itself, resonating sound against all sides. Seven of the nine pieces are recorded in a single location, and the beginning and closing pieces are the shortest ones, summing up all these pieces together. This is a very straightforward work of field recordings. It seems like they have been culled out of a longer recording, straight like that, 'these ten minutes' will do, but I doubt that is the case. I think this is all the work of precise editing and sticking sounds together to create an aural image of a place. What is even more curious is that in some of these pieces not a lot seems to be happening. At one point I even assumed the CD was finished and I seemed to be in the middle of a piece (I also check the cables of my equipment). It's that what makes this CD quite good, the sheer variety in approaches; the ultra quietness of some of these pieces and the more present approach. Just, as I would assume, life in different courtyards would be in a big city like Paris. For anyone who visited the city (and who hasn't?) this is fine reminder of how quiet and how loud such a city could be. Can't afford a trip to Paris? 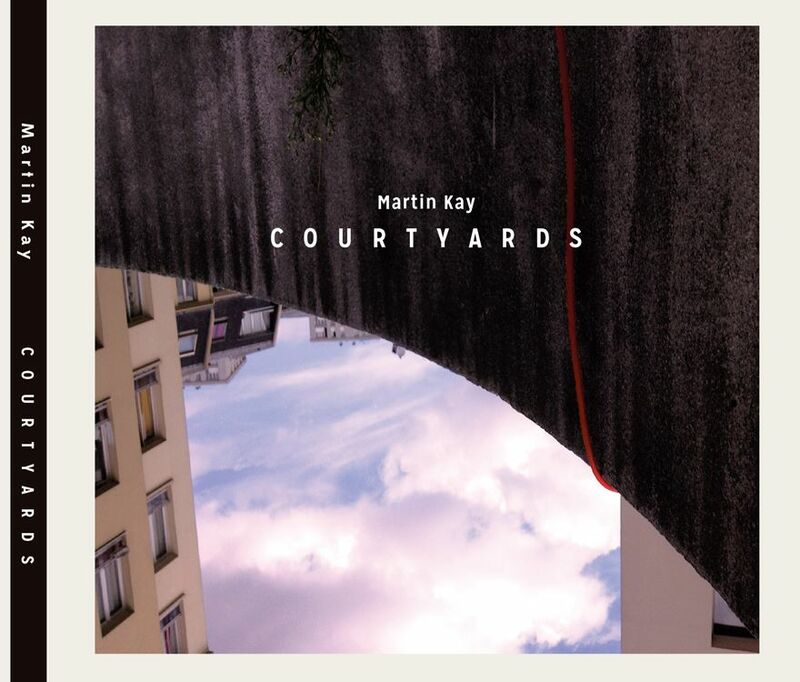 For an extremely modest sum, you can at least visit many of its courtyards via the latest work by Australian phonographer Martin Kay, which presents an hour's worth of field recordings captured at shared spaces in the city. Recorded during the summer of 2013, Courtyards' sounds will resonate immediately with those who've walked Paris's streets, breathed its air, and absorbed the speech interactions of adults and children alike. In these settings, sounds of kids running and playing and domestic activity abound, each piece a mini-portrait of a particular space within the city; Kay's even used actual addresses as titles, just in case you feel inclined to visit the place yourself. Don't think that one courtyard's the same as another, by the way. As Kay's recording shows, some are noisy and boisterous (“40 Rue des Amandiers, 75020”), others sedate and subdued (“83 Rue de Bagnolet, 75020 Paris”), and a pretty strong impression of the social dynamics within the different neighbourhoods emerges as the release progresses. By Kay's own description, his sound works are “constructed primarily from un-mixed and un-edited environmental sound recordings,” so the field recordings are generally presented in a raw and untainted form. Kay, in other words, doesn't treat the field recording as an element to be added to with an instrument or transformed in some radical manner.For him, the details that emerge within the field recording—traffic noise, a siren, a baby burbling, a flute-player practicing, people talking and laughing—are, it seems, enough. Martin Kay es un artista sonoro y diseñador que realiza audio-montajes y composiciones que exploran la intersección de la arquitectura, la psicoacústica, sociales-dinámica y lugar. Kay lo que graba no lo mezcla ni lo edita. Utiliza técnicas de grabación rectas, extendidas y oblicuas, logrando capturar sonidos que no se escuchan, ángulos y perspectivas singulares. Con ello el oyente tiene una experiencia sonora que propone llevarlos a estar en ese espacio y vivirlo. Este disco consiste en grabaciones realizadas en varios patios de viejos y modernos edificios en París en los que se producen distintas texturas sonoras, de las que provienen voces de personas, conversaciones de niños y sonidos del medio ambiente. As it’s title suggests this CD brings together recordings from with-in a selection of courtyards in Paris. The last time I heard from this Australian sound artists & field recordist, was back in 2014 with the excellent All Things Metal- which saw him offer up a selection of records made in & around metal things.The release comes in a six a panel mini gatefold, which takes in a selection of pictures from deserted courtyards. The CD takes in a total playtime of sixty seven minutes, and nine tracks- offering up selection of recordings from seven separate courtyard locations moving from classic apartments to modern project housing estates.As you’d expect with recordings made in locations such as courtyards, they are often made up of distant, faint, passing or echoed sound. Taking in the likes of: brief foot steps, faint chatter, sound of child playing & screaming, doors shutting, sound of cutlery, traffic drone, water trickle, sound of work men, etc.Each of the recordings here certainly does deliver it’s own sonic qualities, distinctive sound elements, sonic dimensions, and audio architecture. And for the most part the recordings are interesting (in a subdued way) & keep ones attention well enough. The thing that does rather lessen the impact of the release is the long silences at the end of each track. I can understand why these are here - so each field recording is wholly separate & isolated, but they just feel too long at around the minute to three minute mark, meaning you have to sit though fairly lengthy gaps of nothing.So in summing this release certainly has an interesting & original concept to it, and for the most part the recordings captured are worthy. It’s just the overly long gaps of silence that rather make it somewhat of a frustrating listening experience when played as a whole.